I grew up in east Tennessee, in Knoxville. I went to a Catholic grade school and high school, then I went to the University of Tennessee at Knoxville (go Vols) and studied electrical engineering. It was there that I really began to look at my life. Our family was very active. I would go with them to church events and Sunday Mass. Our family was fairly committed. Many people don’t realize that east Tennessee is the least Catholic place in the country: it’s 2 percent Catholic. My dad’s family was not Catholic, so I grew up in what we would call a mixed family. His family were primitive Baptists. It was a very interesting sort of childhood I had. And growing up in east Tennessee really prepared me for life. You get used to listening, to having conversations and dialogue and understanding. It was the first time I was really out of my element, in a sense. I was in a more diverse place and I had more people ask me questions about what I believed … people who were friends, so I didn’t feel threatened by their questions. I was, probably for many of them, the first Catholic they met. In fact, it was a catalyst for me to do some deeper searching about what I believed and why I believe it, so it was an awakening. I’m sure, like a lot of college students, when you get to college, you begin to realize your life is ahead of you and you’re going to have to start making big decisions. I started examining my life. I began to really understand how much I was loved by God. In a sense, I think I discovered my real identity as a beloved son of God. And once you discover your identity, a lot of things begin to start falling into place. I began to feel the urge to give myself away, to give myself to God. I wasn’t certain about priesthood and I had my degree. And I was getting some job offers, some good ones. I’d never really been away from home. So I took a job in Houston, Texas, the furthest job offer away from home that I had. It was painful. I was so homesick going into a strange, large city. But it was good for me, and I made great friends and worked there for three years. I enjoyed the people I worked with, I enjoyed the problems and solving problems and helping people. I enjoyed living in a big city, too. It helped me to grow up. I was the bishop in southern Missouri for seven and a half years at the Diocese of Springfield-Cape Girardeau. I happened to be driving back across that long stretch of southern Missouri when I got a call from the papio nuncio, Pope Francis’s representative to the United States. It was stunning. 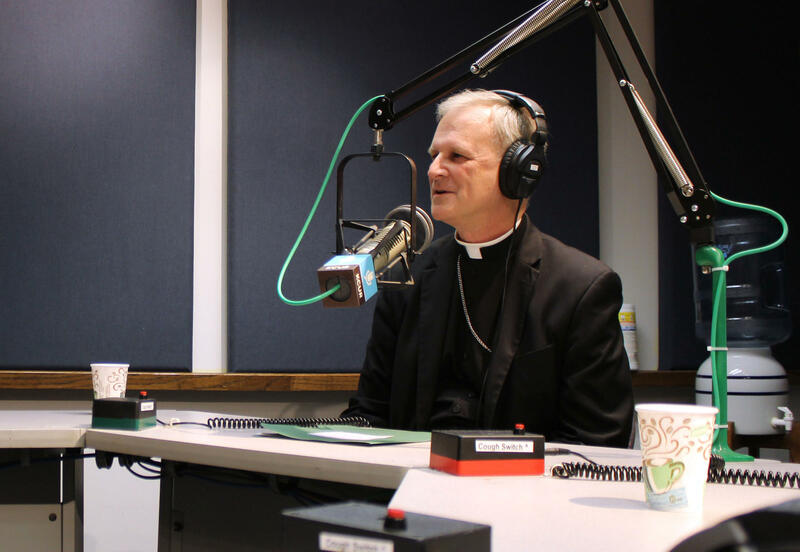 I had to pull off the road, and when I heard the voice of the nuncio saying that Pope Francis wanted me be to become the next bishop here, it was frightening, I have to admit. It’s stunning, just in blink of an eye, to have your life changed. It was real because we talk about healing, and there are different levels of healing. And I think the deepest healing comes from forgiveness. But that can only be made possible and made easier when genuine confession is made and repentance is done. Listening to the voices of actual victims and survivors is very sobering, very powerful. I think we should be held to account and criticism is helpful. I’ve benefitted greatly over my life from good criticism. We’re not exempt from that. I think it’s good, it doesn’t hurt at all. It can be very healthy. I work with our pastors and our people all across the 27 counties of northern and western Missouri to further the kingdom of God, and that takes a lot of shapes and forms. I’m a firm believe that every person has gifts that God wants them to use to serve the kingdom. Mainly, that’s lived out in parish communities, communities of faith where people come together for worship, for learning, and for life in common. That’s lived out in charity, we have various charities to serve the poor and the vulnerable. A bishop’s job is always trying to prepare for future too: preparing for future priests, laypeople to minister, preparing for adequate resources, preparing for new institutions — like St. Michael’s the Archangel, our new high school that’s going up right now in Lee’s Summit. I realize that it’s both. I try to make sure that a healthy part of my weekly schedule is spent out of the office, and in the parishes. It’s a good blend. I’d like it to be known as place where people encounter the hands and the face and the heart of Jesus. That it’s known for bringing the love of God into the community in way that enriches our entire community. 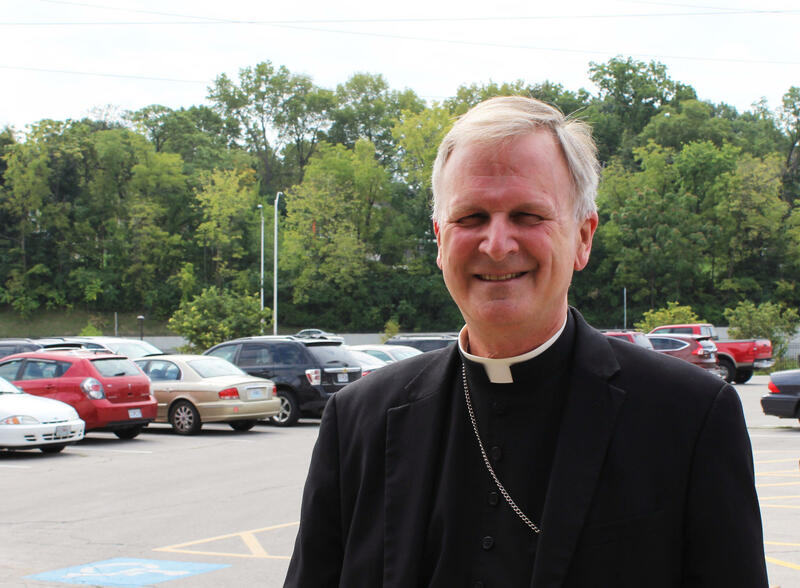 Pope Francis on Tuesday appointed Springfield-Cape Girardeau Bishop James V. Johnston, Jr. as the new bishop for the Catholic Diocese of Kansas City-St. Joseph. 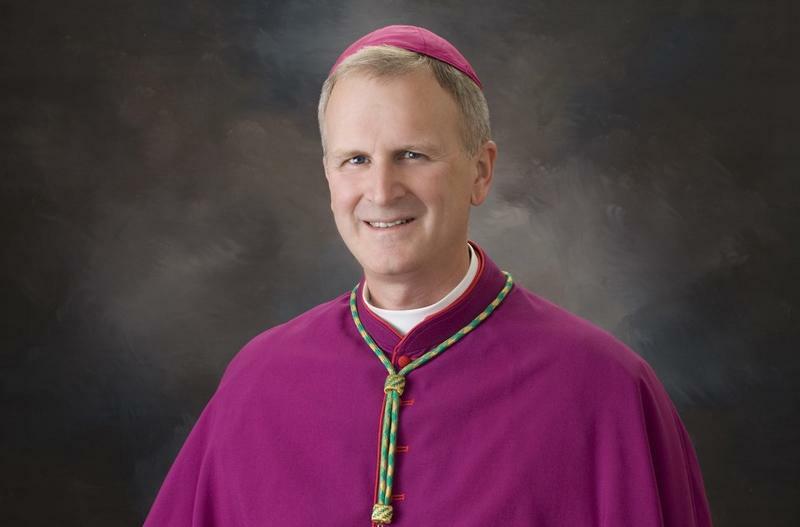 Johnston, 55, replaces Archbishop Joseph Naumann, who had been leading the diocese on an interim basis since the resignation of Bishop Robert Finn in April. Archbishop Naumann introduced Bishop Johnston to Chancery staff at the Catholic Center in downtown Kansas City Tuesday morning. About 100 priests and 200 parishioners filed into the Cathedral of the Immaculate Conception in Kansas City, Missouri, Sunday afternoon in search of closure and the chance to publicly grieve. The priests draped purple sashes over their white robes to symbolize the theme of the service: lament. During Pope Francis’ visit to the U.S. last month, he praised the late Thomas Merton as one of four great Americans. Merton was one of the most influential Catholic writers of the 20th century. He spent the last twenty years of his life as a Trappist Monk in a monastery called the Abbey of Gethsemani in Kentucky. After his death, his writings remained in the public sphere, but it seemed that little else was left from the man who inspired so many. 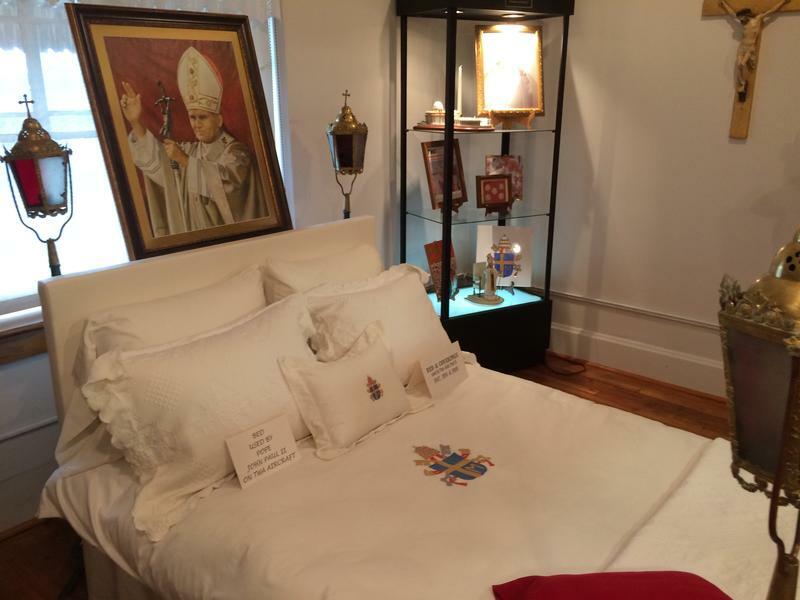 But this summer, hundreds of his items reappeared in Missouri.